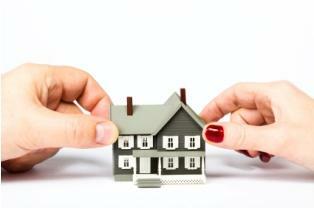 Learn more about the division of marital property. A marital property division form outlines how you want to divide property and assets acquired during your marriage. Understanding and completing the form can be a bit tricky, so it's important that you know how you want to divide your marital property before you write it down. Before you start dividing property and assets, you need to understand the difference between marital and non-marital property. Marital property is everything that you and your spouse acquired during the time you were married. The only assets and property not included in the calculation are those received through an inheritance inheritance or property acquired before the marriage. Before you get started, list all of your marital property. It can be difficult to think of everything that you own so it may be helpful to use a checklist found on the Internet such as the one on FindLaw. While this isn't a complete list, it will give you some ideas or remind you of some things that you have forgotten. After having the list of your properties, go back and place value on each one. If you don't know the value, you may have to get it assessed. This process is important in establishing that each person gets a fair percentage of what you both own. Once you have your list completed, begin deciding who will get what in the divorce settlement. If you and your spouse are able to discuss the division of marital property calmly, the best way to start is by going through the list and place a name next to the things that there are no disagreements about. Then you can go back and negotiate on the others. Negotiations on marital property can get heated, so it's best to know when to take a break, so you both can think about it and calm down. If you and your spouse are not able to divide your marital property in a fair and calm manner, you may want to consider hiring a divorce attorney. The attorney will inform you of specific divorce laws in your state and be a mediator between you and your spouse. Usually, having a third party present during the division can make the process much faster and easier to deal with. Note: most states go by equitable property division, which means that everything is divided in a fair manner, which may not necessarily mean on a 50/50 basis. Keep this in mind when you start dividing everything up. You can acquire a marital property division form in a couple of different ways. Visit your country Court to find all divorce paperwork you need completed for your state. This is the best way to make sure you have everything you need; it's also the most expensive way. The alternative is asking a divorce attorney for the paperwork. While you may be able to acquire the forms you need free from an attorney, if you need any assistance with completing them, you will need to pay for the lawyer's time. This can be expensive, depending on whom you hire. If you and your spouse are unable to come to an agreement on your marital property with or without an attorney, you can have the Court decide how it should be divided. Just know that once the Court decides, the decision is final. Make sure you cannot come to an agreement before you decide to relinquish your right to divide certain property yourselves.